The Parish Council gave a total of £10,000 in grants during the last year. Local groups came to us for help with thier organisations from a white line painting machine for Coxhoe Athletic to helping Quarrington Hill Banner Group with transport costs to the Durham ‘Big Meeting’. We also helped our Village Hall pay for new bar shutters and a security system following the recent break in which devastated the hard working committee. Coxhoe scouts also benefitted from our grants scheme which is open to any organisation who needs a bit of help. Contact the Parish Clerk for a grant application form or download from this website by following this link. Love it or hate it the ‘mound’ in the Front street in Quarrington Hill is to be removed and replanted following a lot of debate in the village of Quarrington Hill. Kingswood will soon see new seats popping up so you can stop and enjoy the lovely views and the village has flower planters donated by the County Councillors due to be installed. The Parish Council intend to review the provision of hanging baskets in Quarrington Hill this year so if you have any views we would like to hear them. Please get in touch with the Parish Clerk or Community Engagement Officer. Finally we are planning to do a walk about to review paths and the general state of the village so if you have any concerns about any particular area please contact the Parish Clerk. We hope that you will all love the improvements to the village. 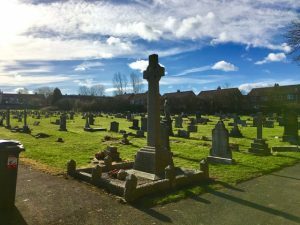 The Parish Council is about to start a project to help St. Mary’s improve their graveyard. We hope to begin with looking at better access and pathways and provision of a salt bin. We hope to continue with a memorial garden and memorial seats. The Parish Council plans to gather village support and ideas soon so look out for posters, website and social media posts. Find out more in the coming weeks here. 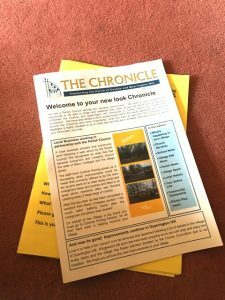 The Coxhoe Chronicle and the Quarrington Hill Chronicle have been merged into a brand new newsletter simply called The Chronicle. Paper copies will be delivered to all households in the first week in March. You can also access an online version here. 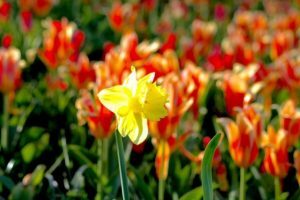 Find out more about newsletters here. The Parish Council has established a new landline. 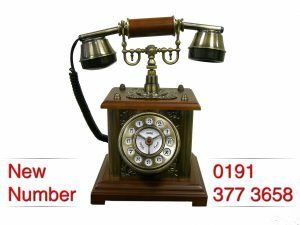 Our telephone number has now changed. You can now contact Craig Rowbotham, the Parish Clerk, and Lisa Caine, our Community Engagement Officer, on 0191 3773658. Please remember that Craig and Lisa are both part time employees so if there if there is no answer please leave a message and they will get back to you. Our Neighbourhood Plan Survey is now Closed. We are now going through the process of analysing the results and we will be sharing these as soon as we can. We have had to delay the prize draw due to some workload issuesbut we assure those that entered the competition that we will be doing this as soon as we can. we will be announcing winners shortly. 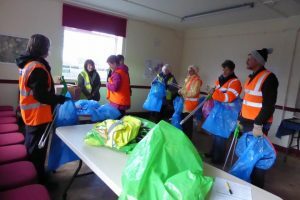 The first of this year’s Keep Coxhoe Clean Campaign volunteer litter picks in Durham will support the Durham Big Spring clean. The event will take place on Saturday 25th February between 10.am and 12 pm. Can you help, we need volunteers. Find out more by following this link to the Keep Coxhoe Clean Campaign Page. 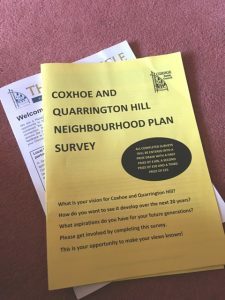 Coxhoe Community Partnership may have to consider its future if volunteers do not come forward to become members. Unfortunately three key officers of the Partnership, the Chair, Secretary and Treasurer are all retiring at the Annual General Meeting in April. As a result of dwindling numbers of volunteers and the commitments of existing members in managing community hubs such as the Active Life Centre and Coxhoe Village Hall the partnership has had no capacity to develop projects to help improve our village. The loss of key officers now means that the Partnership either has to secure new members in order that it may be sustained. Without new members it means that the Partnership, a registered Charity, will have to be dissolved or at the very least mothball. The Partnership has been very important to the village over the last 20 years, securing well over £1.5 million investment in projects such as the Play areas, Skid Zone, the Village Green and the Limestone Linx as well as being engaged in village planning, community communications and other improvement work. Its loss would mean that funding only available to community groups would be lost to other villages. The next agreed Partnership meetings are March 22nd and April 26th (Annual General Meeting). 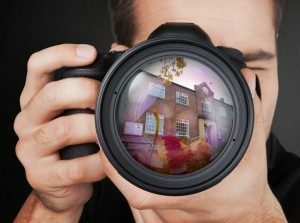 The Police have warned residents of Coxhoe and Quarrington Hull to be alert to a significant increase in theft related crime in the Coxhoe parish area since the turn of the year. the Police provided a detailed report to the Monthly meeting of Coxhoe Parish Council on 1st February. They documented a range of burglaries and attempted burglaries in houses and other buildings in Malcolm Avenue, Petterson Dale, Linden Grove. Browns Close, Browning Hill, Ashbourne Drive and Church Street. The Police are asking residents to take extra care in securing their homes and outbuildings. They are also asking residents to be vigilant and report any any suspicious characters or activity by contacting them by telephone on 111. Take care everyone. You can find out more about the police here. 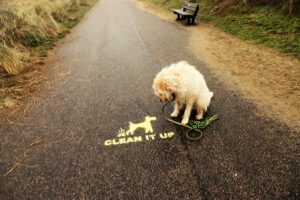 Clean up your dog mess or be fined, no messing! Some irresponsible dog owners are damaging the environment and putting children’s health at risk. It’s a big problem and its not funny! Failing to clean up after dogs remains to be a serious problem in our villages despite awareness campaigns and the threat of fines. One of the latest areas to suffer from dog dirt deposits is around School Avenue and the entrance to the school. Complaints have been received and passed on to local county councillors who have raised this with officers at the County Council. As a result our village will be targeted by inspectors and the County Council boast a series of recent successful prosecutions against irresponsible owners. Please clean up after your dog. It’s your responsibility. If you don’t clean up after your dog mess and you are caught you will be fined, no messing! Check out our Keep Coxhoe Clean Campaign page here. Photograph acknowledgement to Caister Parish Council with thanks.